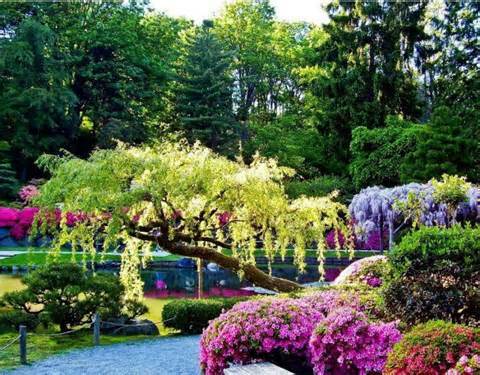 One thing is true of all gardens. It is joint creation between a human intention to create a space of tranquility, peace, and beauty; and nature’s ability to comply. The followers of the madness of a man have lost their way by hate and fear. They do not know the iniquity they follow. He plays the game with ill intent to ruinous ways he leads all, when the good and the brave fail to act. So, fear not brave souls. A man wants us to be afraid, so do not be afraid. Stand up and say the truth loud and clear! The darkness always vanishes in the light of day. Then I will love you then. The year is 500 A.D. in the wilds of Ireland where Druid kings rule and the Gods and Goddesses speak to the high priests in each tribe throughout the land. It is a time when lives depended on the spirits in Oak trees, Standing Stones, and nature’s creatures to guide with wisdom, each of the lives of every member of each tribe. Through the magic of Runes, each inscribed with ancient symbols, the future is foretold. Anwen, a Celtic maiden, named for her beauty, as custom demands, is assigned at birth to marry a local Chieftain. She grew up to become a beautiful and desirable maiden. 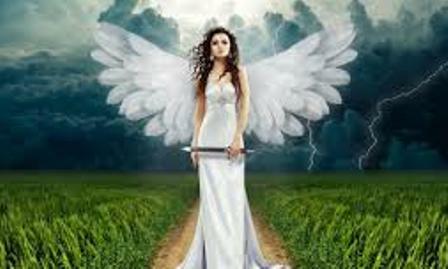 Anwen did not wish to marry the much older Chieftain of her tribe, Cathal, a powerful warrior. This was not because she was childish or selfish. It was in a dream she was told of her true love that existed somewhere in the land of her ancestors. Her years went by and still she dreamed, although by now, she had married the older chieftain and bore him a son and a daughter. Anwen, now the healer of the tribe with powers given to her by the Goddesses dutifully went about her healing with love and care, yet inside, her deep loneliness cried out to the Goddesses to grant her the power to see her true love that she had dreamed of all of her life. On a star-filled Beltane evening, with all the neighboring tribes celebrating together the rituals of fertility and renewal, they gathered around the high priest and the great wooden tower of fire to give prayers to the Gods and Goddesses for a bountiful year. Suddenly, as Anwen watched the Beltane fire as though the flames would reach the stars and out shine them, she felt a knowing, a certainty. Her true love was near and her heart fluttered with joy. Aodhan, a Chieftain from the farthest reaches of the land, arrived with his fellow tribesmen and women to Celebrate Beltane and unity with all the other tribes. Aodhan, a widower with no children, was father to all, in his small tribe in the far away mountains by the northern sea. For Aodhan, named for Ireland’s ancient spirits of fire and light had the power of knowing, this, his gift from the Gods. He watched the other tribal revelers be enraptured by the tower of fire, as the flames roared and filled the night sky, Aodhan felt the terrible power of this omen, of things to come. Aodhan, looked at the moon, as a flicker of blood red crossed its path, foretelling brutal future. It bode ill for the coming times. Aodhan turned his back to the celebration and saw the most beautiful maiden that made his heart beat wildly. She was smiling at him as though she knew him, had known him and he felt this longing, a life time of longing and knew she was that need in him, his true love. Aodhan approached her as though he had known her since the heavens formed the sky and starlight was born. He held out his hand and she hers. They held each other knowing without saying a word that they had at last found each other. The Goddesses had answered Anwen’s prayers. As they held each other and gazed deeply into each other’s soul, memories long forgotten of centuries passed filled their being, knowing they had lived and loved before and that they would again one day, in another life. 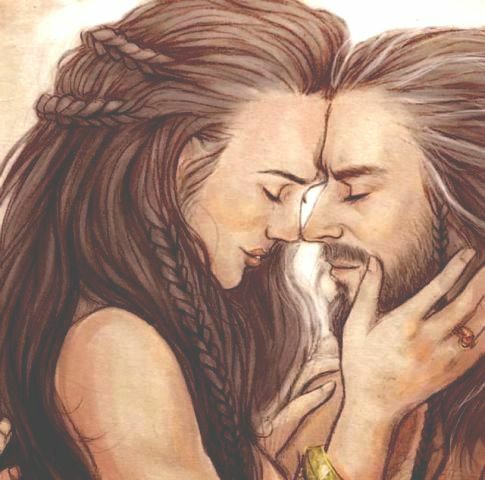 Their lips touched, but once, their souls embraced and for that moment, they were one, Anwen the beautiful and Aodhan of fire and light. The night hurried by as they sat on a hillside, looking at the stars until the morning sun crested the Celtic hills with colors of lavender, pink, and gold that bloomed across the sky. 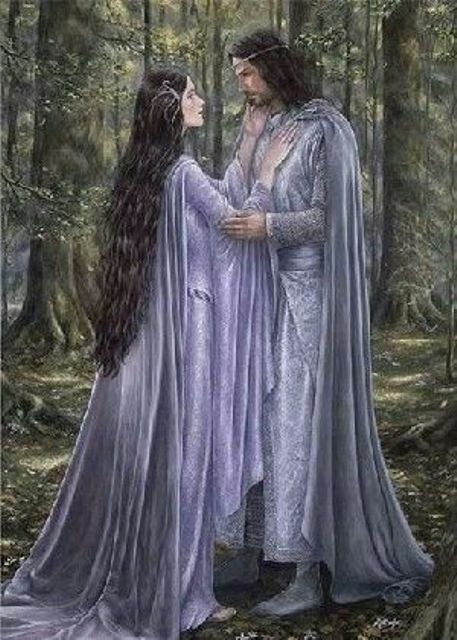 Anwen and Aodhan’s fingertips parted with the dawn light and both slowly turned away from each other, knowing their time would come in whatever future the Gods and Goddesses deemed for them. It was enough, this gift of knowledge, knowing that a future life would bring to them, an eternal embrace until the the end of time. A new book coming out in January 2017 by K. D. Dowdall. Separated from his parents who never believed he belonged to them, Riddle, was on his own. He was sent far away to a very strange and mysterious land to live with an odd old Aunt that has plenty of mysterious secrets, sees Riddle as the perfect foil for her own nefarious plans. Riddle grows up to have strange powers. 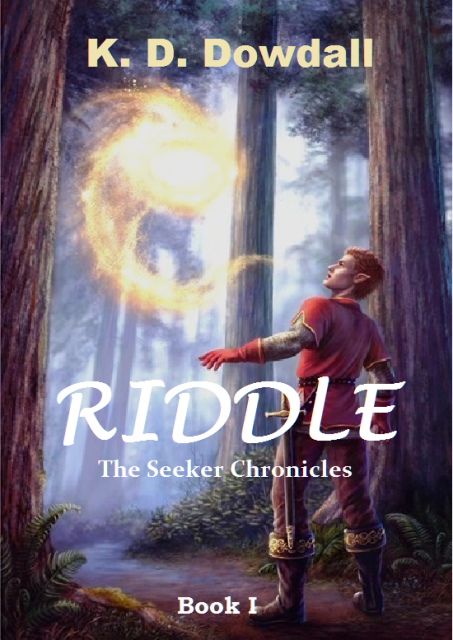 His Aunt sends him on a dangerous quest and in the process Riddle seeks to find out who he really is, if he can only find …. Some time ago, I befriended an adorable winter mouse, I named Bella, who wandered into my yard one day and became my friend for one long lonely winter. Little Bella first caught my attention by peeking out from behind a wooden rocking chair on my back porch one cold December morning as I worked busily cleaning away cobwebs and dust from window panes and dusty corners. I pretended to ignore this curious little field mouse. I was hoping that she would scurry away as almost all little critters do to avoid the murderous intent of larger critters. As I continued dusting and sweeping, I kept stealing glances to see if the little mouse with the large pink-ears was still watching me from its hiding place behind my old rocking chair. 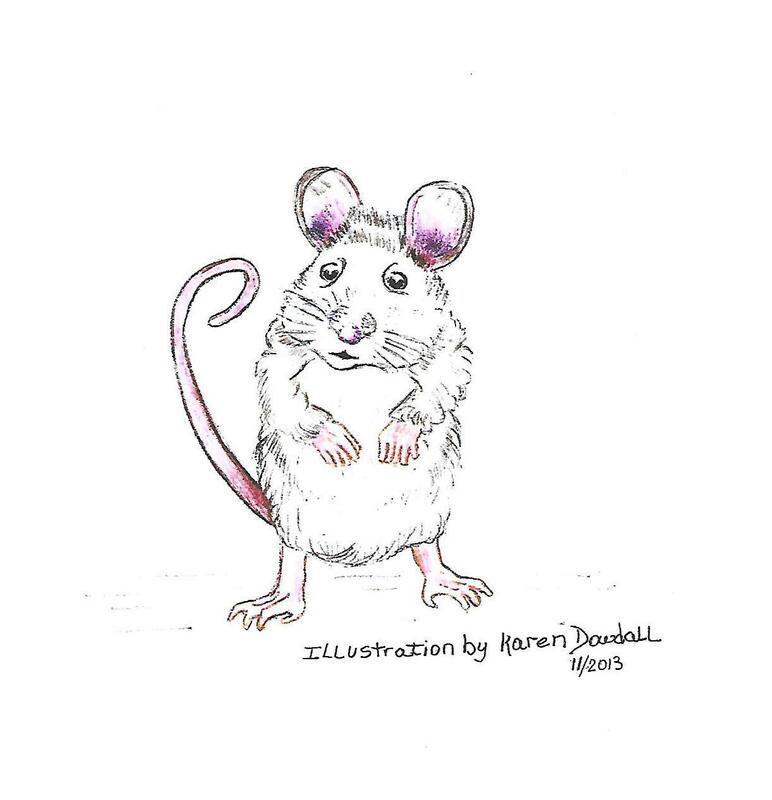 As I furtively turned my head to get a better view, I was taken-aback to see the funny little brown mouse standing up on its hind legs with its little hands clasped in a pleading gesture as she stared at me. My heart went out to the furry little winter mouse and I reached into my jacket pocket for the small package of peanut butter crackers I had accidentally left in my pocket the day before. I opened the package , stepped off the porch (making sure the little mouse saw what I was doing) and placed a peanut butter cracker on the frozen winter grass. I felt sure this would appease the determined little mouse to take the cracker and scurry back its winter nest, preferably far away from my back porch. I then stepped back into my house and shut the door behind me allowing the little mouse to know it was now safe to scurry away with the peanut butter cracker. The next day, as I gazed out of my backdoor window I saw my neighbor’s old Tom Cat on my back porch. He had apparently cornered something behind my old rocking chair. All at once, I knew Old Tom had cornered the little winter mouse who, no doubt, had returned for another peanut butter cracker. I quickly stepped outside with broom in hand and shooed Old Tom away giving the frightened brown mouse with the large pink ears time to escape. It was the least I could do seeing how it was my fault the furry winter mouse had returned for more peanut butter crackers. This time the little winter mouse scurried underneath the wooden porch and dashed away, but where to, I wondered. Surely, Old Tom would catch it now and it would be my fault. 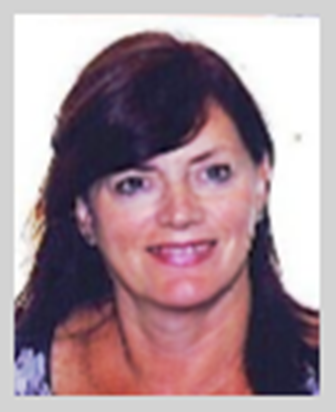 Sadly, there was nothing I could do—this was nature, the natural cycle of life and death. I sighed deeply and bowed my head as I turned away from the window. Little did I know Bella was quite familiar with all the hiding places around my house as I found out one chilly morning in the wee hours before dawn a few weeks later. While snuggled up in my bed, underneath a quilted coverlet, I reached over to turn on the lamp on my nightstand. As I did, (to my dismay) my winter mouse stood before me on my nightstand. Her tiny hands were clasped tightly in front of her, grasping a peanut butter cracker I had left on the nightstand. Her pink belly and soft brown fur trembled in the bright light. We stared into each other’s eyes, nose to nose, for what seemed like a long time before she suddenly dashed, cracker in mouth, to wherever she had made a home – in my house. Well, I thought, a friend it one thing, a Boarder is quite another. So, early that morning, I crept, as quite as a mouse, with my flash light in hand to find the freeloader’s hideaway. And find it I did. Apparently, my little curious winter mouse liked music, because I found her and her nest behind my credenza. Her little brood of six pink baby mice seemed quite comfy— snuggled up in one of my missing fluffy slippers. Well, enough is enough, I thought. One winter mouse is tolerable for a winter, but not Bella’s brood of six baby mice. I found myself in dilemma of what to do with Bella and her babies. There was the mudroom, I thought, and that presented another dilemma. The mudroom already had several guests. I had no choice. Bella and her babies were going into the mudroom, in a covered shoebox, secured with tape and with small holes for air. I placed the shoebox on the floor very near the mudroom backdoor that had a small bit of daylight between the door and the floor. Every day I would leave one peanut butter cracker for Bella on the back porch. It didn’t take long before she waited for me every day at the backdoor, standing up, her little hands folded across her tummy and I would hand the peanutbutter cracker to her. She would reach out with her tiny hands, and grasp it and hold it to her chest before dashing away. She was the sweetest mouse. Her cute little personality and her big brown eyes were so expressive. In early spring, I went to the backdoor and there was no Bella. I hurried to the mudroom and found the shoebox empty. They were gone. Bella, my winter mouse had gone back to the corn and alfalfa fields with her young. I hope they all survived, but I would never know. I never saw her again. I still think of her sometimes, on a chilly winter morning when I turn the light on.